Study Finds All Meat is Bad. Beef is the Worst. Adopting a plant-based or low-meat diet has never been more popular. People's modish reasons are to improve their health through ‘clean eating’ and contribute less to climate change. A recent study of 1.5 million people supports the first idea: frequently eating meat, particularly of the red or processed variety, can shorten lifespans and raise risk of death. But many consider a vegetarian or vegan diet to be radical or unrealistic. A compromise would be cutting out the meat that leads the pack in health and environmental impact: beef. Researchers have found that, measured by environmental cost per calorie, producing beef is significantly more damaging than poultry or pork. Rearing cows for meat uses 28 times more land and 11 times more water than the average requirements for other types of livestock, while greenhouse gas emissions are five times higher. As a result, eating fewer steaks and hamburgers is one of the most effective ways for people to shrink their environmental footprint. Committed carnivores can swap out beef for chicken and fish. They can also become part-time vegetarians or ‘flexitarians’. Consuming less beef would signal to suppliers that they should cut production and focus on other types of livestock, reducing environmental fallout. Having a beef with beef was a radical stance until very recently. But question marks over the quality of meat sold in supermarkets and greater understanding of the health impacts of eating too much meat have thrust the attitude into the mainstream. Documentaries such as Cowspiracy - which focuses on the devastating role of animal agriculture in deforestation, pollution and climate change - have also boosted people’s awareness of the environmental impact of their diets, as well as their willingness to make changes. 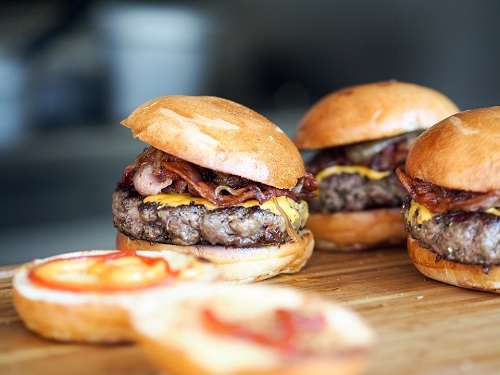 The issue is complicated by differing rates of meat consumption around the world. The mushrooming middle classes of China and India are consuming more and more beef, poultry, pork and lamb, while Europeans and Americans appear to have had their fill. 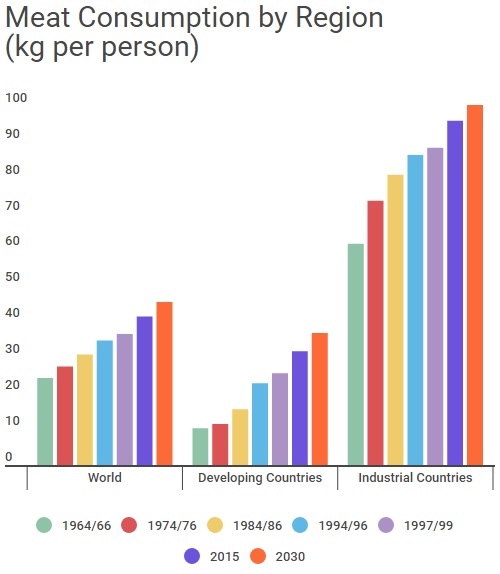 Our first chart, using data from the UN’s food and agriculture arm, shows that meat consumption is rising quickly in developing countries, but residents of developed countries still eat significantly more meat. 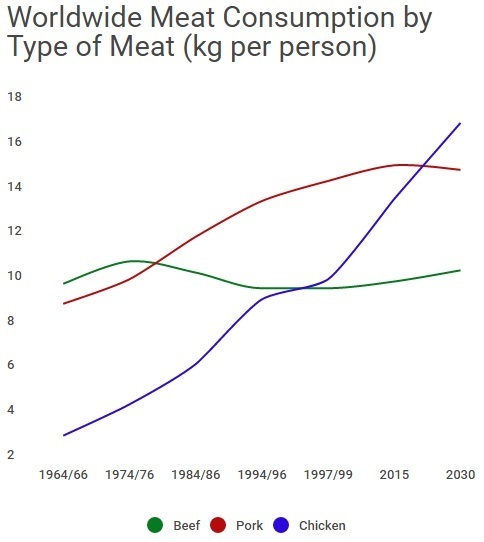 The second chart shows that worldwide beef consumption continues to rise, although consumption of chicken is growing much more quickly. People may already be choosing chicken nuggets over Big Macs.